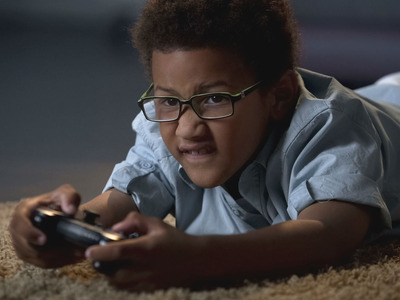 Motortion Films / ShutterstockVideo games might make children more aggressive. A new analysis of 24 studies has shown how video games influence aggression in children. Experts are still undecided on what impact playing games has on behaviour. This study suggests violent video game play is associated with increased physical aggression. But video games aren’t all bad. In moderation, they can help with hand-eye coordination, problem solving, and can relieve stress. There is a fair amount of debate about the impact video games have on children. One of the main arguments against allowing children to play them for too long is the idea they can become more aggressive as a result. A new study, published in the journal the Proceedings of the National Academy of Sciences, supports this theory. Researchers at Dartmouth University examined the results of 24 studies between 2010 and 2017, including over 17,000 participants from nine to 19 years old. Each study looked at how violent video games affected the children’s’ real-world behaviour, including their aggression, whether they hit people or had fights, or were sent to the principal’s office. The participants were followed from three months to four years. The team concluded the “effects of violent video games extend to meaningful behaviours in the real world.” In other words, there was significant evidence from the analysis that video games can contribute to heightened aggressive behaviour. Specifically, the results showed white participants had the strongest effect from video games. Hispanic children showed no significant effects, while Asian children fell somewhere in between. According to the National Center for Health Research, research has shown that in the long term, video games can desensitise people to seeing aggressive behaviour, and even decrease someone’s ability to feel empathy. Earlier this year, The World Health Organisation added “gaming disorder” to its official list of mental health conditions. To be diagnosed with the disorder, a person needs to meet three criteria: loses control over their gaming habits, prioritises gaming over other daily activities, and continues playing games despite clear negative consequences. However, experts are still undecided whether excessive gaming is a mental health problem in its own right, or a symptom of other struggles. Despite the risks, gaming has been shown to have some positive impacts on people too. For instance, video games can relieve stress, improve problem-solving abilities, and improve hand-eye coordination. Rather than condemning video games as a cause of antisocial behaviour, it could be a case of playing them in moderation – as is the case with many things people enjoy, from chocolate, to alcohol, to social media.